Part of the fire rating requirements placed on this North Sydney block of apartments was to achieve a fire separation between floors of 90/90/90 with a Resistance to Incipient Spread of Fire (RISF) of 60 minutes. The CAP508 intumescent paint system was used as a cost effective tested and approved alternative to replacing the fibrous plaster ceilings with fire rated linings or attempting to fit a sprinkler system into a complicated building structure. 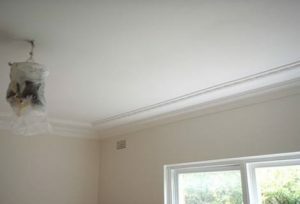 An efficient application process was designed to fit in with the client’s tight schedule with ceilings top coated as part of the system to meet the clients colour requirements.